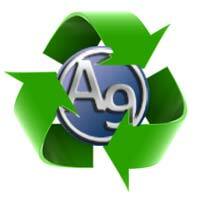 In an effort to help with environmental issues, A9 Computer Services is proud to be part of a recycling initiative. We have always endeavoured to recycle used equipment and have the facilities available to securely erase personal and private data from computer hard drives. Many charities and schools would benefit from a working computer, laptop or screen and we often repair units free of charge before passing them on to worthwhile organisations. It’s our way of putting something back into the community. As data recovery specialists, we are only too aware of what sensitive information is easily retievable from a personal computer. Credit card details, banking details, passwords, emails, photographs, documents, database records are all stored on drives that we have recovered data from. Simply formatting your drive does NOT remove this data and it can often be retrieved by people using readily available software. For secure erasing, you can trust us to wipe hard drives to military standards. Drive destruction is also carried out in-house. We do charge for this service but the cost is minimal compared to the risk of this data passing on to third parties. Please contact us for further information, quotes and free advice.